The ICC Profile Creator allows you to generate your own ICC profiles. You can use standard presets as well as custom values. 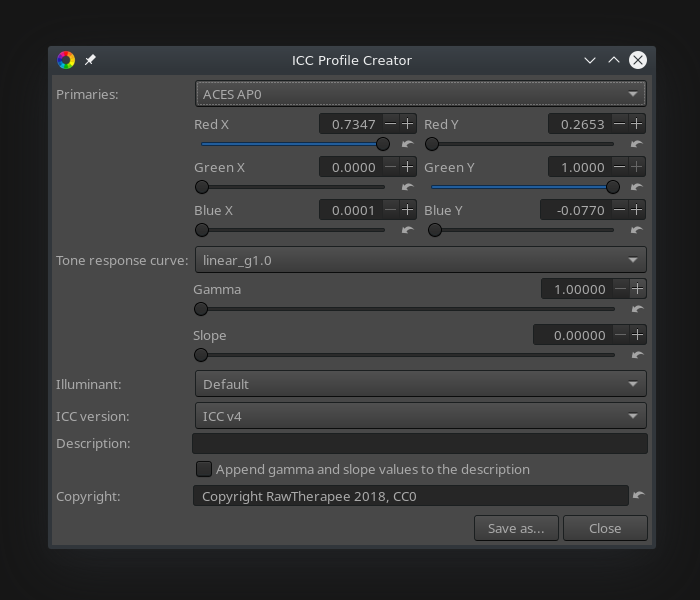 To have the generated profiles become available for use in RawTherapee, save them to your operating system's standard color profile folder, as set in Preferences > Color Management. This page was last edited on 17 December 2018, at 14:50.